Rocket Lab’s Electron launch vehicle successfully achieved orbit on its second test flight performed on Sunday from the company’s launch base in New Zealand. 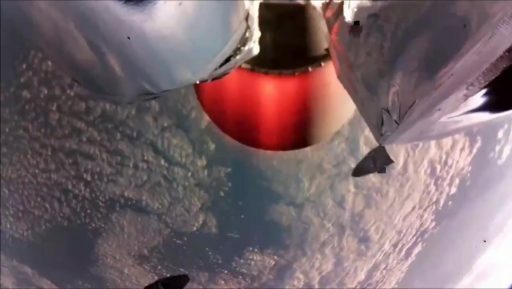 Dubbed ‘Still Testing,’ the flight built on data gathered on the inaugural flight of the innovative launch vehicle last May and managed to achieve the final push to orbit – making Electron the first in a group of small satellite launch vehicles to achieve orbit and take a major step closer to regular operation. The 17-meter tall, all-composite rocket powered by electric pump-fed engines took flight at 1:43 UTC, 2:43 p.m. local time at the Mahia launch site on New Zealand’s North Island. Arcing into mostly clear skies over the picturesque launch site, Electron fired its nine Rutherford main engines for two and a half minutes before the single-engine second stage took over for over five and a half minutes of powered flight – dropping the payload fairing and a pair of depleted battery packs on its way into a high-inclination orbit. 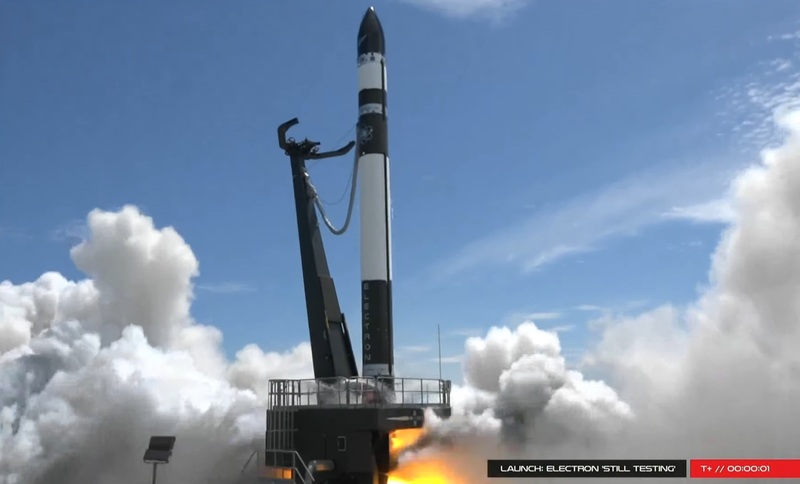 Reaching the tenuous upper layers of the atmosphere, Electron surpassed the earlier benchmark set by May’s “It’s a Test” and successfully achieved orbit, Rocket Lab engineers said during the live launch broadcast. Three pathfinder satellites were aboard “Still Testing” – two Lemur ship-tracking & atmospheric profiling satellites operated by Spire Global and a lone Dove from San Francisco-based Planet as both companies took the opportunity of launching inexpensive CubeSats on Electron to validate pre-launch integration and launch procedures for future launches since both are expected to become customers for regular Electron missions. 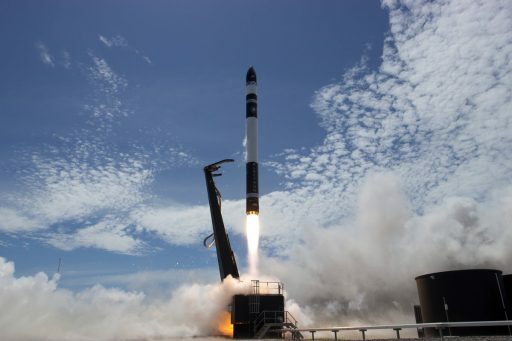 The all-black Electron is the first of several small orbital-class launch vehicles in development to take their share of what is an increasingly growing market – sending MicroSatellites or clusters of CubeSats into orbit. Advances in technology made miniaturization of various spaceborne sensors possible, permitting systems such as high-resolution imaging instruments, meteorological sensors and communication packages to fit into small satellite platforms – turning CubeSats, originally developed for educational missions, into potential revenue generators on the commercial market for satellite imagery, communications, maritime & aeronautical tracking, etc. 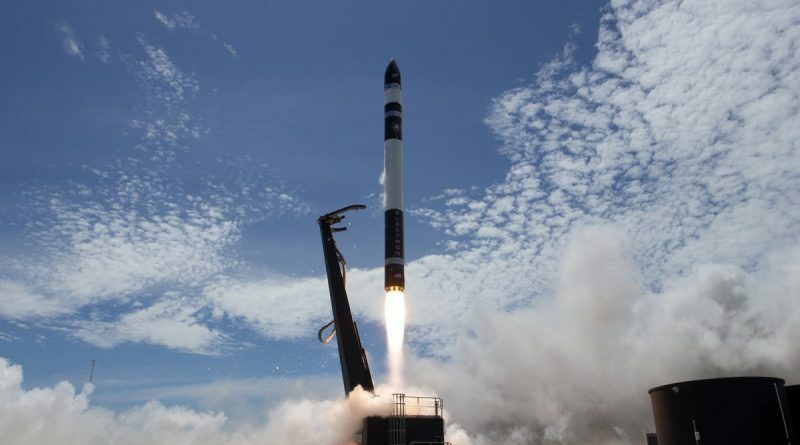 Operators like Rocket Lab, Vector Space and Virgin Orbit see a number of major advantages in offering small satellite launch solutions in the form of dedicated missions for small satellite operators that currently have to ride as secondary payloads which does not allow them much say in the scheduling of missions as well as target orbit parameters. Rockets specifically sized for this market can provide cost-effective launch opportunities not much more expensive than secondary payload slots while giving operators full autonomy in setting their schedule and choosing their orbit. Rocket Lab, headquartered in the U.S. with production and launch facilities in New Zealand, managed to bring Electron from the drawing board to the launch pad in under five years and with less than $100 million in funding acquired through venture capital funds and strategic investments from industry. The company, led by CEO Peter Beck, chose a testing-oriented approach and outlined a test flight program of at least three missions. “It’s a Test” left the launch pad on May 25, 2017 with a dummy payload and a plethora of sensors to collect an extensive data set on how the carbon-composite rocket and all its components – including the battery-powered engine pumps – fared in the actual mission environment. 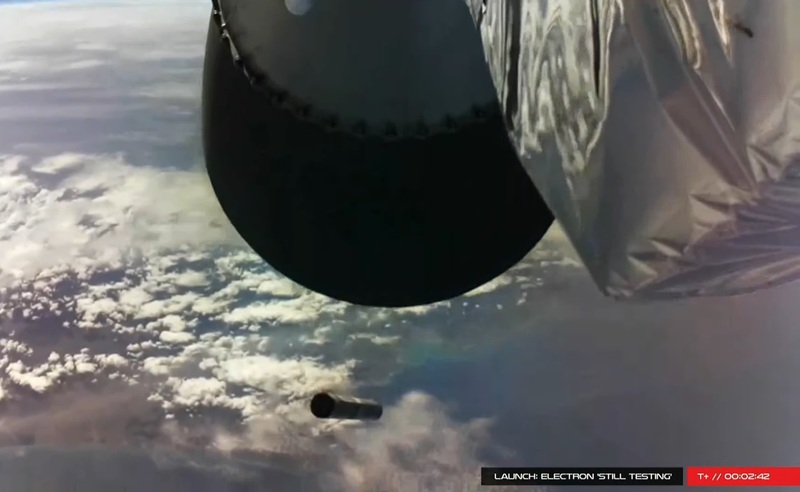 Although the mission fell short of orbit when targeting an orbital injection, the flight was classed as a success by the company since all critical events like first stage flight, stage separation, upper stage ignition and payload fairing separation had been demonstrated and a wealth of data was collected. After the May test flight, Rocket Lab took a fine-tooth comb to over 25,000 channels of data to fully reconstruct the mission, uncover potential weak points and fully understand what kept Electron from reaching orbit. It transpired that Electron’s first test flight had to be terminated due to no fault of the rocket but a very basic misconfiguration of an error correction setting within a contractor-operated piece of communications equipment at the Mahia launch site – leading to a premature loss of telemetry as the vehicle traveled downrange and, per the flight rules, requiring the launch to be terminated. The company initially expected the second test flight to occur within two months of “It’s a Test,” but decided to take the time to fully work through a detailed analysis of the first flight before taking the second vehicle to the launch pad. 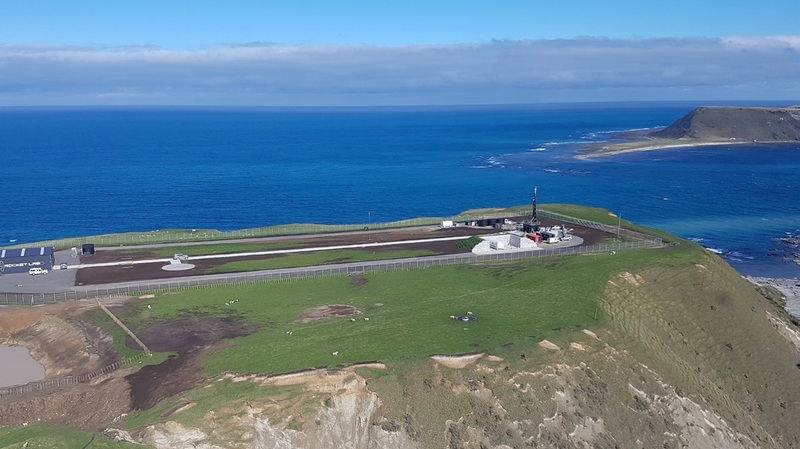 Analysis was complete by early August and the second Electron rocket traveled from the company’s manufacturing base near Auckland to the Mahia launch site in the first half November. Assembly of the two stage rocket and integration of the CubeSat Deployers set the stack for final acceptance tests before Electron moved to the launch pad for a Wet Dress Rehearsal on November 30. However, the rocket was unable to get off the ground during a multi-day campaign in December due to a string of weather-related delays and teething issues with the relatively new vehicle, including an aborted ignition. As the available launch window reached its end, Rocket Lab decided to stand down and re-group for another attempt in January. Electron returned to the pad on Friday, local time, and an attempt on Saturday had to be ended after a pair of stray vessels ventured into the marine safety area and winds in the upper atmosphere picked up after the boats cleared. Winds were again on the high end on Sunday, but Rocket Lab decided to press ahead and make a last-minute call on whether conditions were within limits. 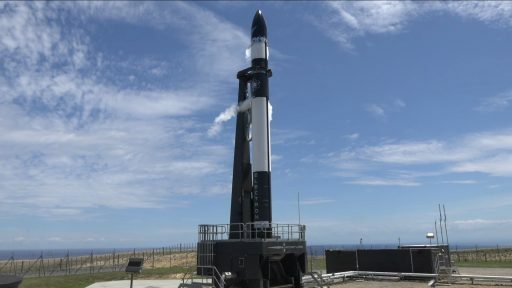 Gearing up for launch, Rocket Lab engineers reported to console over five hours before the opening of the day’s four-hour launch window to oversee a detailed checkout campaign before Electron headed into tanking – receiving 11.3 metric tons of Liquid Oxygen and Rocket Propellant 1. With access roads closed and an eight-Kilometer security zone in place, Electron was cleared for liftoff from the world’s first privately-operated launch range, located on the east coast of New Zealand’s North Island from where all relevant orbital destinations can be reached. Electron, marketed as a 21st Century Rocket employing innovative technology, is the first orbital launch vehicle to rely on electric-pump-fed engines, 3D printing for all major engine components and a carbon-composite structure – all geared towards creating a low-cost yet robust launch vehicle. Standing 17 meters tall and measuring 1.2 meters in diameter, Electron has a launch mass of 12,550 Kilograms. One of the flagship developments making Electron possible is the Rutherford engine, the first electric-pump-driven rocket engine to reach the launch pad – eliminating the complex turbomachinery of traditional engines using combustion gases to drive their pumps and putting brushless electric motors in their place, thus simplifying the engine’s design and keeping costs down while also achieving a high-degree of controllability through precise motor control. Each of the two motors driving the fuel and oxidizer pumps is not much larger than a soda can and generates 50 horsepower when spinning at 40,000 revolutions per minute. The drawback of electric pump-fed engines is found around the aft skirt of Electron where 13 fairly heavy battery packs reside to deliver over 1 Megawatt of power during the two-and-a-half-minute first stage burn. 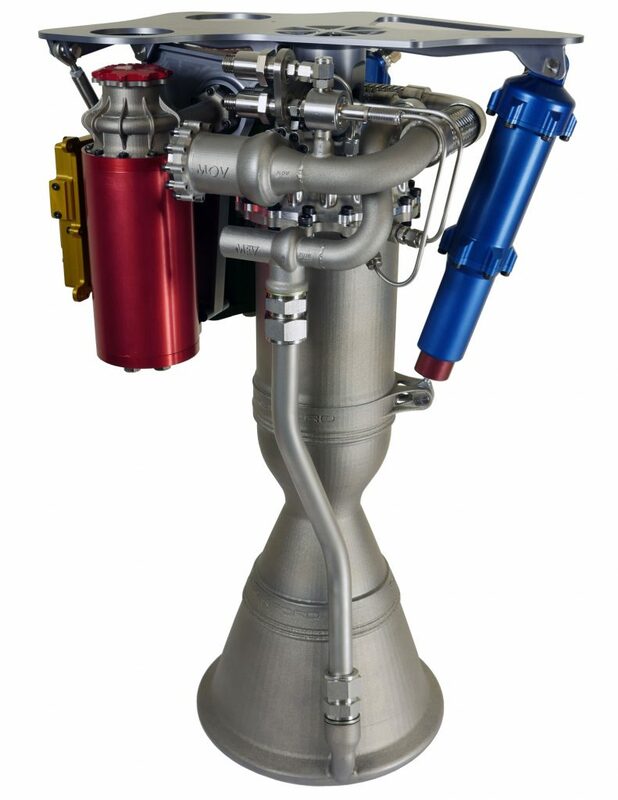 Rutherford, like SpaceX’s Merlin, comes in two versions, one for operation as first stage engine and a vacuum-optimized version with extended nozzle. The standard Rutherford has a dry mass of 20 Kilograms and delivers 18 Kilonewtons of sea level thrust, rising to 21 kN in vacuum with a corresponding specific impulse of 303 seconds – matching the performance of other well-known LOX/RP-1 engines using the conventional turbopump design. Nine Rutherford engines lifted Electron off the pad at 1:43:00 UTC on Sunday with a total thrust of 16,500-Kilogram-force, sending the vehicle into a brief vertical ascent before pitching over and heading south-east to reach a high-inclination orbit – the favored orbital destination for remote sensing satellites. Racing downrange, Electron quickly reached the speed of sound and passed Maximum Dynamic Pressure where its composite structure had to withstand peak aerodynamic forces on the vehicle’s way out of the dense atmosphere. 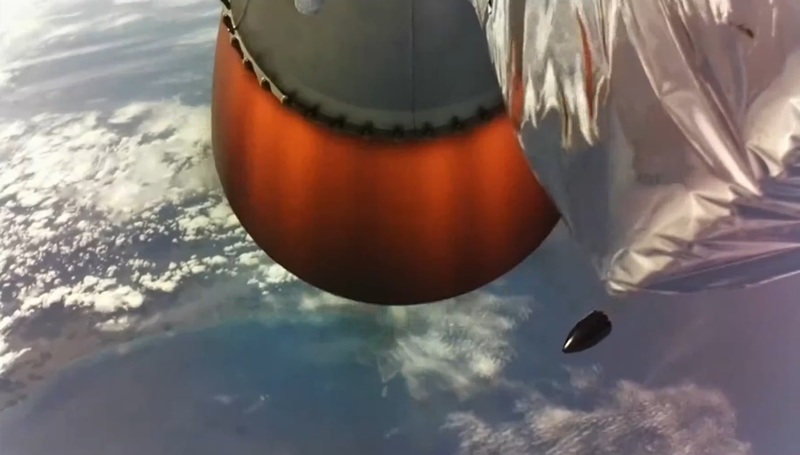 Thrust on the booster increased to 19,600kgf as Electron headed into the tenuous upper atmosphere with calls from the launch team indicating nominal operation of the first stage and onboard video showing the vehicle heading down the straight & narrow with slight, but frequent corrections by the guidance system clearly visible. Shutdown on the first stage occurred just over two minutes and 30 seconds into the mission when it had exhausted its 9,150kg propellant supply. Four seconds after MECO, pneumatic separation systems pushed the 12-meter long booster away from the second stage and its extended Rutherford nozzle. The second stage fired up at T+2 minutes and 38 seconds on a planned burn of five minutes and 38 seconds to push the stack into orbit with a thrust of 2,240 Kilogram-force. 25 seconds into the operation of the second stage, Electron successfully separated its two clamshell-type fairing halves and two of three battery packs also dropped away as they were depleted during engine operation to shed unnecessary weight on the way up the hill. Reaching the four minute mark, Electron had passed 225 Kilometers in altitude and managed to get past the point of failure on the previous launch, continuing down its planned trajectory, aiming for an orbit of 300 by 500 Kilometers, inclined 83 degrees. In the nature of Low Earth Orbit missions, Electron was expected to achieve a stable orbit just six seconds before shutdown on the second stage – creating only a small line between failure to achieve orbit and full launch success. Shutdown was called out eight minutes and 15 seconds into the flight and launch control erupted in cheers when guidance engineers reported a good orbit was achieved and the three pathfinder passengers were sent on their way 17 seconds after engine cutoff. Dove Pioneer, released by a Rocket Lab Maxwell deployer, will join Planet’s Flock of orbiting Doves – currently the largest Earth-imaging constellation in operation, employing over 130 active satellites in a variety of orbits to image the entire globe at least once per day. 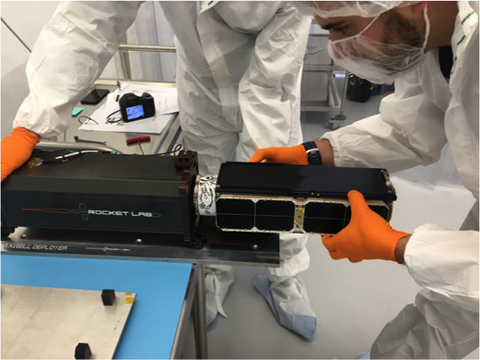 The two Lemur-2 satellites are joining Spire Global’s CubeSat fleet tasked with the collection of global ship-tracking data offered on the commercial market as well as atmospheric temperature and humidity profiles relevant for weather forecasting. Since the Dove and Lemur-2 satellites are built in large quantities by their operators, placing a small number of them onto an experimental launch posed only little financial risk for the companies but offered a great deal of operational knowledge for future Rocket Lab missions carrying a larger number of spacecraft once Electron is cleared for service. Sunday’s launch, although appearing to be a full success, will be treated like the first test launch in that Rocket Lab will pick apart all pieces of data to study exactly how Electron behaved on its way to orbit and whether there are any areas of improvement ahead of operational missions. At least one more test flight was planned before Electron enters operational service with a busy manifest lined up for 2018 that includes a NASA cluster mission, flights for Planet and the Moon Express MX-1E lunar landers competing in the Google Lunar XPRIZE. 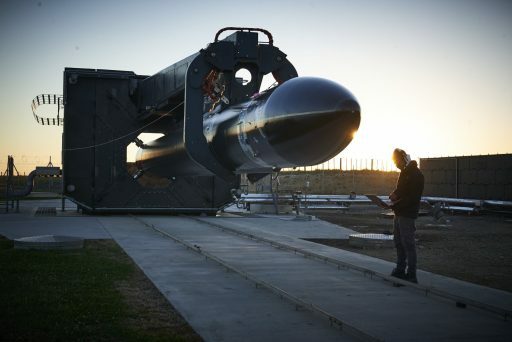 Big plans exist for Rocket Lab’s future, including establishing a production and launch capability from the United States at the Kennedy Space Center and Pacific Spaceport Complex – Alaska. The company is also scaling up production capability to eventually step up Electron’s launch pace, eyeing a steady cadence of one or two missions per week.